The ongoing World Cup frenzy in Russia is keeping soccer fans (or football fans for those across the Atlantic) on their feet every time their favorite teams tangle on the pitch. Staying tuned with the nail-biting matches can sometimes be difficult, especially if you are travelling, beaching, or caught up with other engagements. Nonetheless, this time round, there are several mobile apps (both for Android and iOS) that you can download from Google Play or Apple’s App Store and ensure you keep track of the kicks, flops, and most importantly, goals at the popular sporting event. 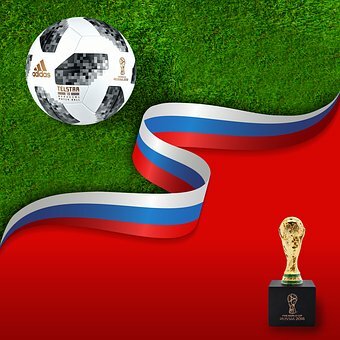 Here is a brief review of five of the best free apps for watching FIFA World Cup 2018. Note that some of the apps will require paid subscriptions if you want extra services, like watching live matches. The 2018 FIFA World Cup Russia Official App cannot go unmentioned in this review. It’s the official app from the international football governing body that promises to allow you to take the most of the World Cup on the road with you. The FIFA official app gives in-depth news reports, matches outcome, and other useful analysis in real-time. The app also allows you to track FIFA World Ranking and vote for the Man of the Match in any game taking place in Russia. Precisely, this credible app has everything you need to keep you glued on the month-long sporting tournament. The BBC Sports app provides a wealth of FIFA 2018 World Cup coverage. With the app, you’ll get the latest news, live action, scores, and analysis so that you cannot miss the happenings in Russia. You can also choose your own personalized football news notifications, listen to BBC Radio 5 live, and share stories with your friends. It’s what you need if you want to stay tuned to the World Cup—the British way. Besides the declining Yahoo brand, the company still has something it can brag about: the Yahoo Sports app. The app is full of comprehensive features that will ensure you enjoy the thrill and madness of this year’s World Cup, anytime, anywhere. Yahoo Sports provides the most up-to-date scores, highlights, and news to ensure that you do not miss the soccer action in Russia. If you are looking for a livestreaming app for the FIFA World Cup 2018, then SonyLIV may have you covered. It’s a Video-On-Demand platform that will provide you with all the live action so that you can forget going to Russia to catch the rest of the matches. SonyLIV allows you to livestream the happenings of the World Cup and get latest highlights and analysis on the go. If you are a sports enthusiast from North America, then you should be already familiar with the ESPN app. Besides the regular sports highlights available in the app, ESPN also has a dedicated section covering this year’s World Cup. You can also subscribe to the premium version of the ESPN app and livestream the matches from anywhere. Therefore, you can use the app to keep track of the scores, statistics, and other useful details so that you cannot feel like the odd one out when a soccer talk erupts among your friends. This football craze, which occurs once in four years, is here with us again! If you didn’t manage to go to Russia, like most of us, or you are frequently away from your TV, you can use any of the above apps to stay tuned on the happenings. Also, do you know that you can create sporting apps, similar to the ones above, and reach several people with your idea? For example, Anguruso, who is from Hong Kong and has over four years of Android app development, usually teaches people how to create apps that add value to users. You can watch and learn from one of his projects here. Mobile apps development is not just for the big names only—you can also create a sporting app that provides the latest news and other highlights and gain from in-app purchases and reap other benefits.